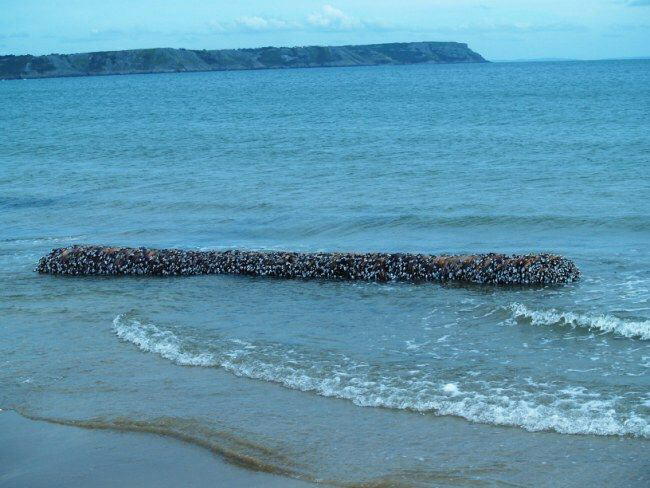 A mysterious creature horrified holidaymakers after it washed up on a beach on the Gower Peninsula in Wales. 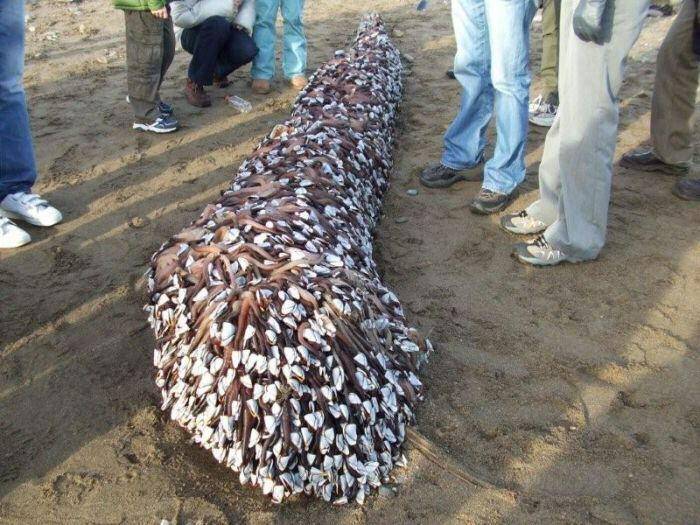 The writhing mass of tentacles, which measured at least 6ft from end to end. 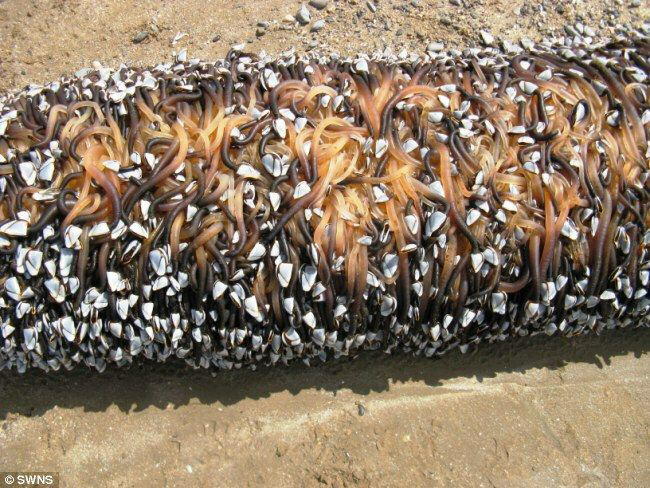 The barnacles - long writhing stalks or pendulates, tipped with shells - are normally found deep below the waves, but were washed up clinging to a log. This barnacle may look like a mollusc but it is in fact a crustacean related to shrimps, lobsters and crabs. 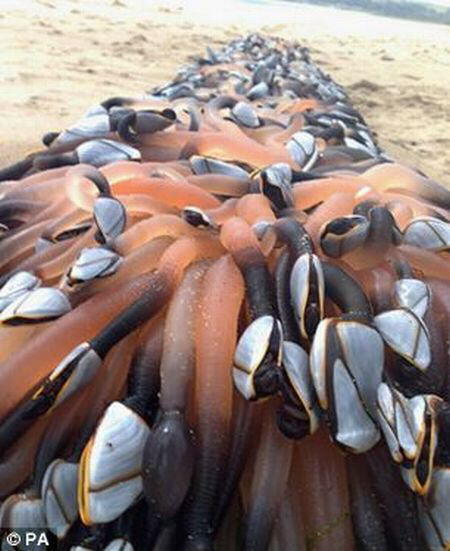 The goose barnacle or percebe thrives at the ocean's foamy edge. Slammed by boiling sea waves, laved in saline by constant saltwater surf, the percebe thrives clinging to wave-lashed crags of the sea, to coastal rocks in narrow inlets called 'surge channels' up which the ocean thrusts oxygen-rich waves tumbling and roiling to wash over the barnacle colonies, thus providing tiny planktonic food to be caught by the winnowing fan-like legs poking out and up from the barnacle. 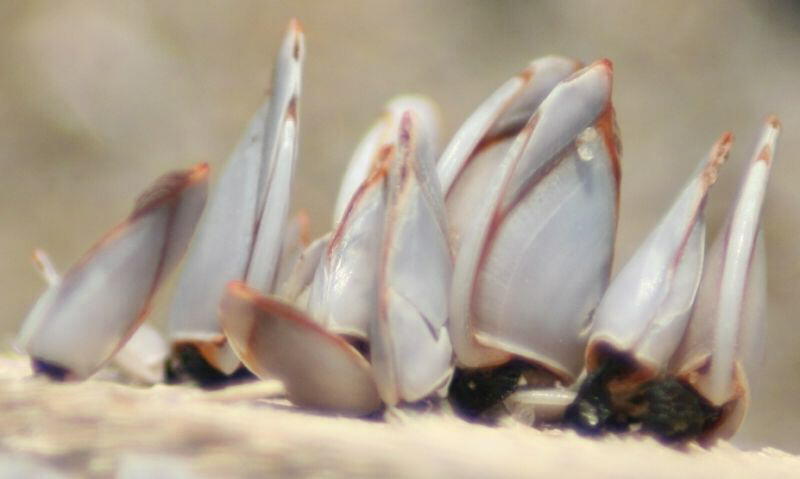 Barnacles attach themselves to rocks by their "heads" and feed by means of their feathery "legs."